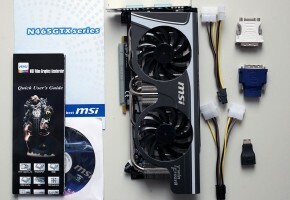 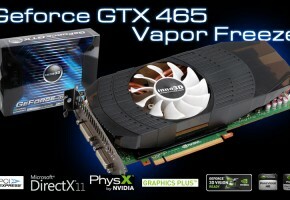 Gigabyte rolled out its first graphics card based on NVIDIA’s newest GPU, the GeForce GTX 465. 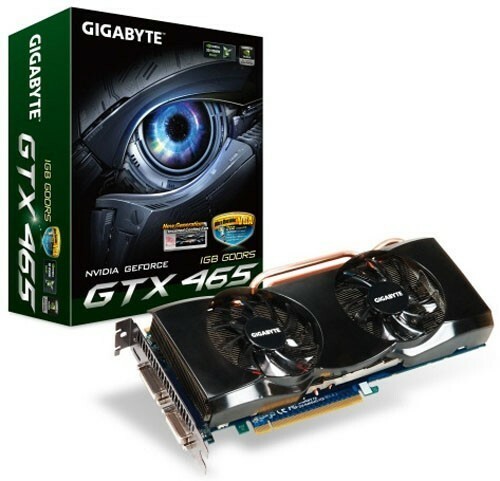 The card features Gigabyte’s own design, which makes use of the Ultra Durable VGA construction, a combination of PCB with 2 oz thick copper layers, Japanese solid-state capacitors, grade 1 memory chips, ferrite-core chokes and low RDS on MOSFETs. 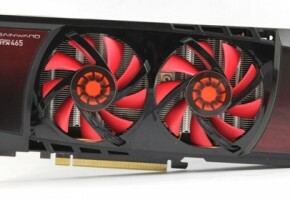 The cooler uses a large aluminum fin block which is cooled by two 80 mm fans. 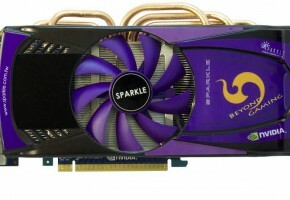 Though geared for overclocking, the card comes with NVIDIA reference clock speeds of 607/1215/3206 MHz (core/shader/memory). 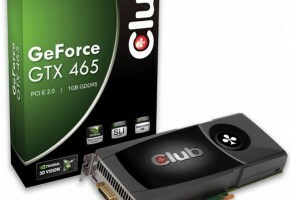 The GTX 465 SKU is derived from the GF100 die, it features 352 CUDA cores, and 1 GB of GDDR5 memory across a 256-bit wide interface. 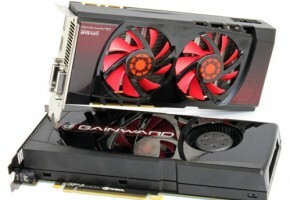 It is priced at a standard $279.